Tiny living in grand style. 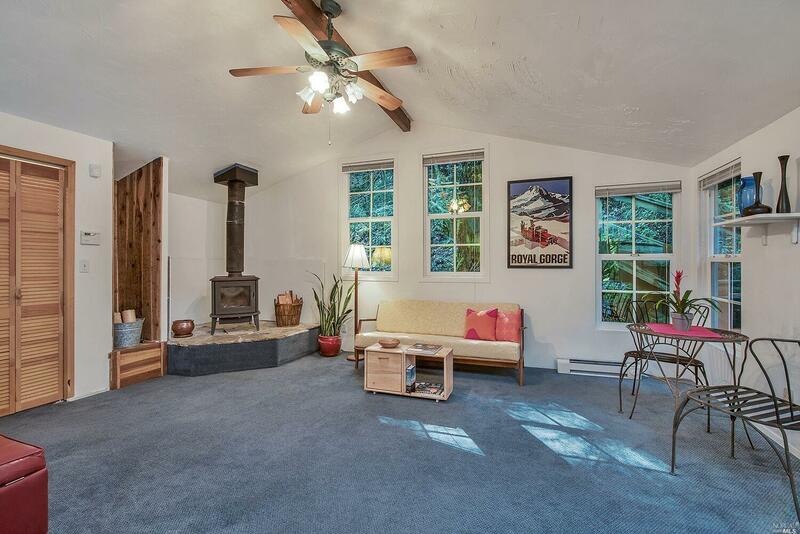 Adorable cottage with open living area and large deck. Home sits on quiet street above it all. Tree house feel with plenty of windows to bring in the natural light. French doors offer indoor/outdoor dining options. Terraced garden area and natural landscape surround this cutie. Just a short stroll down to public River access. Kitchen: Electric Range Incl., Refrigerator Incl.